English slavegirl Nimue tied to a chair and facially punished. 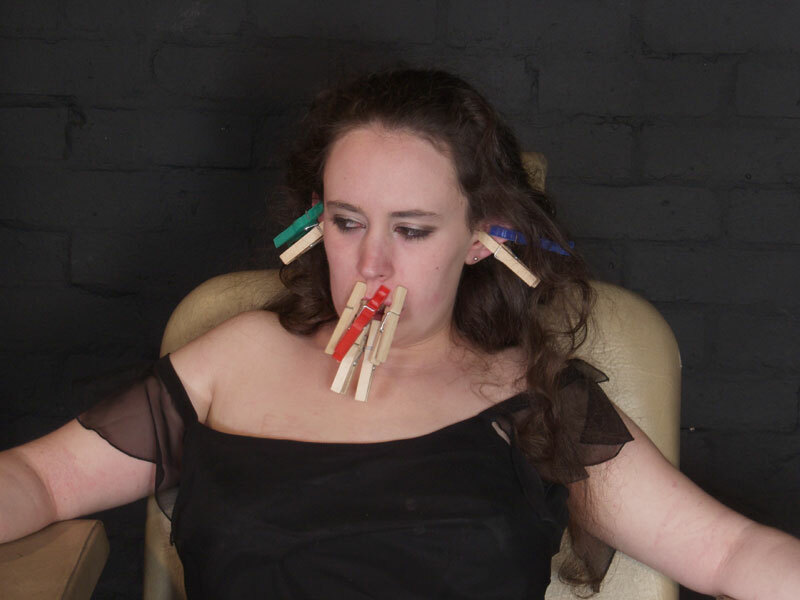 Her nose is clamped by multiple pegs and a painful metal plier. The metal plier is used to squeeze her nose and restricting her breathing. The tormented and humiliated slavegirl is crying while all of her face hurts. The english slavegirls is sore and hurting, while her master continues to punish it mercilessly.